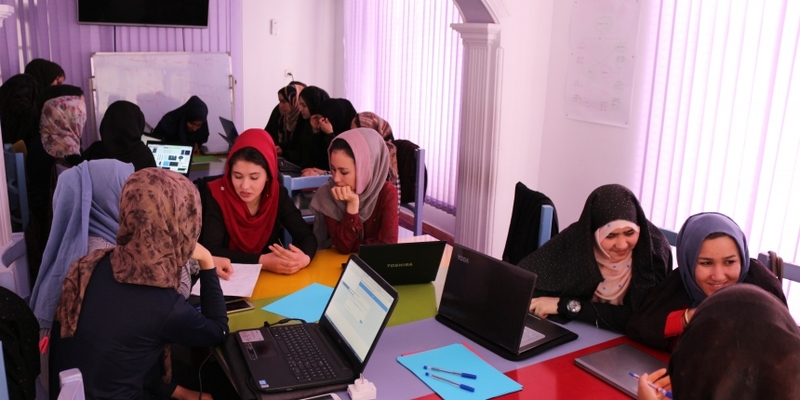 Young women coders in Afghanistan are getting a chance to use ethereum’s cryptocurrency. Revealed exclusively to CoinDesk, Code to Inspire (CTI), a non-profit for teaching women in Afghanistan to write code, has partnered with the Bounties Network to allow students to accept ether (ETH) for fixing vulnerabilities for businesses or projects posting bounties. And according to Fereshteh Forough, the founder of CTI, the women have already begun earning the second largest cryptocurrency by total value. The partnership was first inked in May, and once the women were set up with MetaMask accounts and software wallets, they began earning between $10 and $80 per bounty (depending on the project) they completed, Forough said. While Forough didn’t expand on how much ether altogether has been collected by the women, this isn’t her first foray into facilitating crypto payments to remote workers in Afghanistan. In 2014, Forough collaborated with fellow Afghan entrepreneur Roya Mahboob to offer Afghan women the ability to earn bitcoin by blogging. But the program ran into roadblocks since there wasn’t a local cryptocurrency exchange to provide liquidity (cash for crypto) and most of the bloggers didn’t have bank accounts anyway, whereby they could get a global exchange to transfer the converted crypto into. “The challenge was how to exchange [bitcoin] to the local fiat currency,” Forough told CoinDesk. At the time, Forough and other CTI representatives would accept the women’s cryptocurrency and give them cash in return, but this process had its drawbacks. Ether is unlikely to fare much better in these conditions, but regardless, Forough believes exposing the women to ether (and cryptocurrency broadly) has priceless educational value. Plus, because the Bounties Network doesn’t only offer technical assignments (there are translation jobs and other projects on the site), the girls might better engage with the ethereum community as they learn to code. “Because it’s a task, which you can create for anything with a reward at the end, you could potentially use it for so many different collaborations,” Simona Pop, head of community at Bounties Network, told CoinDesk. Case in point, the partnership has launched a MetaMask course for CTI students and will soon create an online store where students can buy and sell the products and services they and their classmates develop in the broader course. Speaking of what’s called a circular economy – whereby the women can be compensated in ether and then use that ether to buy other products – this has been the real problem with crypto adoption in the developing world. And it’s a problem that often requires systemic change. Whereas Venezuelan cryptocurrency enthusiasts can use bitcoin, ether and even zcash to buy rice, diapers and other essentials online, then have those items shipped to their homes, this isn’t the case in Afghanistan, where Forough said the postal service isn’t reliable and many roads and houses aren’t marked like they are in other parts of the world. Still, cryptocurrency has gained some traction in the country since Forough first started experimenting with it in 2014. For instance, a few Facebook pages and other websites show that money traders are looking for more information on accessing cryptocurrency. But Janey Gak, an Afghan-American bitcoin enthusiast who works with communities in her homeland, isn’t super optimistic about the prospects for ether in Afghanistan. People in the country are still asking pretty simple questions about the industry – mostly bitcoin – at this point; and she’s only had one Afghan trader ask about ether, she said. According to her, one thing that could help, though, is if the in-person money sellers, called sarafis, were to start trading cryptocurrencies. Afghans rarely trust financial institutions or corresponding mobile apps to convert currency, and instead prefer to use sarafis, who deal with the multitude of fiat currencies used across war-torn Afghanistan. And if sarafis got involved, people might move over to cryptocurrency as a long-term store of value rather than putting their savings in gold and other physical goods, which can lead to a number of issues, like they do today, Gak said. Still, even with much development to be done in Afghanistan to make it ripe for cryptocurrency adoption, Forough sees the partnership with Bounties Network to give her students an introduction to ether is a beneficial step on a long road towards financial independence. Herat is the third-largest city in Afghanistan and home to CTI, although the nonprofit will allow women to take classes or work online, instead of coming into the office. As such, CTI provides them with employment opportunities they might not have in their home cities. “I think it’s a good thing for our students to do projects online and get paid. It can be very useful for our students, especially our web design students,” CTI mentor Aalem Daneshyar, whose first experience with cryptocurrency was getting paid in it through a CTI class, told CoinDesk. Plus, since Forough feels like the broader blockchain industry overlooks war zones like Afghanistan, she hopes teaching these woman how to earn crypto will be the first step in seeing homegrown technological solutions to local challenges. In Forough’s mind, the opportunity to engage with the global economy and become familiar with cryptocurrency wallets might prove more valuable, in the short-term at least, than the digital coins themselves.